Upon an inspired suggestion from one of my dearly-beloved readers last week, I set out to photograph those churches featured in “Oranges & Lemons” and here you see the results of my endeavour. 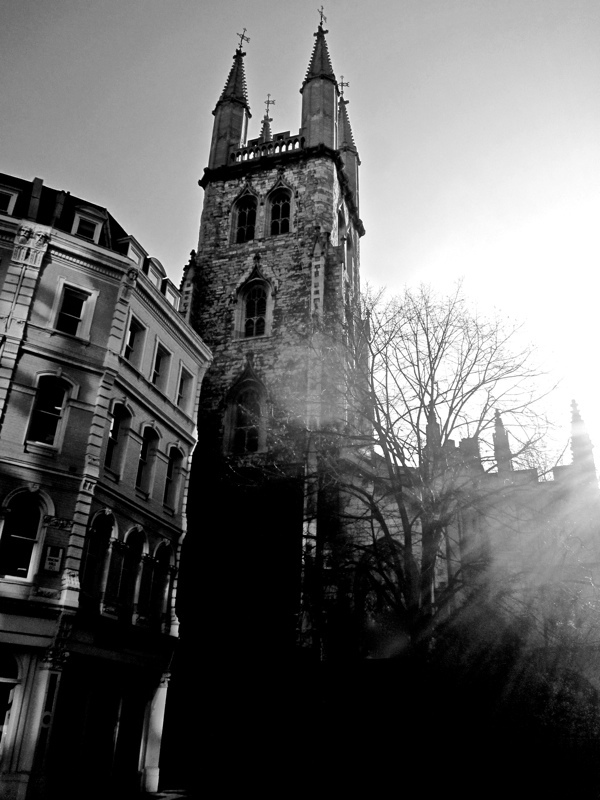 “You owe me five farthings,” say the bells of St. Martin’s. “When I grow rich,” say the bells of Shoreditch. “I do not know,” says the great bell of Bow. Ah magnificent! Wish I could buy a little chapbook of these to carry about with me. What a brilliant start to a grey Friday! 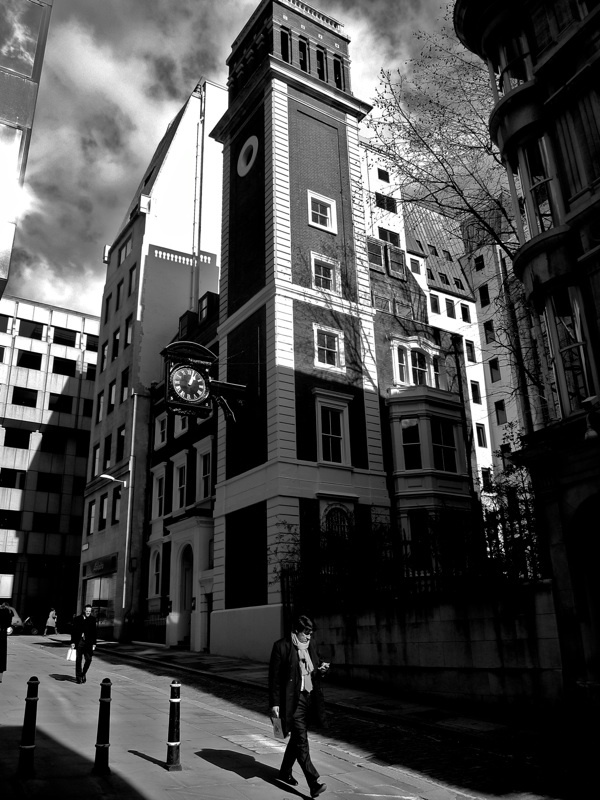 Here’s an idea: what about tracing the route of the condemned from Newgate to Tyburn? Inspired indeed and obvious really! Lovely. Wonderful images.. I love the black and white images; much more effective than colour. Many thanks for these. Wonderful – thank you! 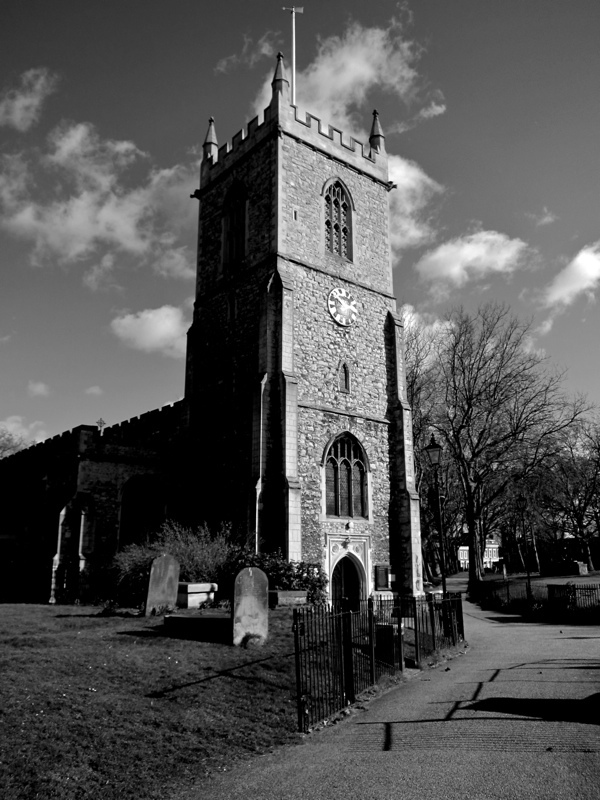 As a kids’s book illustrator and daughter of an artist born within the sound of the Bow bells, I ‘ve often wondered about the churches in the rhymes. Lovely photos! Do all the bells still ring? Great photos again. I sang this as a kid not realising that most of the Holford line of my family were married, baptised and buried in one of them (Shoreditch) during the 19th century! Wonderful to see the churches. Such an old rhyme; so old that Edward & Richard York (the Little Princes in the Tower) sing it in the Shakespeare play Richard III I guest it must be. Also I adore your blog although I generally don’t comment. I love how you’ve captured the enduring stillness and peace of the church towers rising above the movement of people. Thank you! Love, love, love this! When I lived in Yorkshire years and years ago, my eldest son learned this ditty in nursery school. We didn’t have all the churches in his version but still… I agree. I think I’ll make a little book for (40sumthin’) him. I think that’s the first time I’ve seen them all together and what marvellously sharp images they are. I was singing along with this and it reminded me of the great job Jools Holland did with them last year in his documentary, ‘London Calling’. That was a brilliant post. I always thought St. Martin’s was St Martins in the Fields, whenever I heard the bells ring, I would think that sounds nothing like ‘You Owe Me Five Farthings’, now I know why. The Bow bells certainly ring, loud and clear! Are St Clement Danes in the Strand wrong to claim they are the subject of the first line of this rhyme? Their bells even peel the famous tune and they hand out citrus fruit at some of their ceremonies. Still I’m certain you know something more than I on the matter. Thanks again for a wonderful post on what for me is becoming essential daily reading. Another wonderful post. 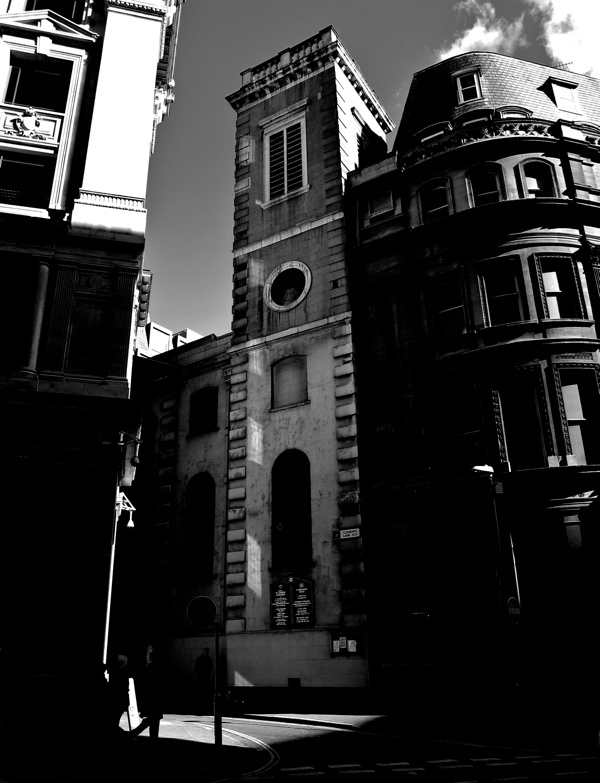 How nice to see all of the churches from the rhyme photographed like this. I really enjoyed it, thank you. 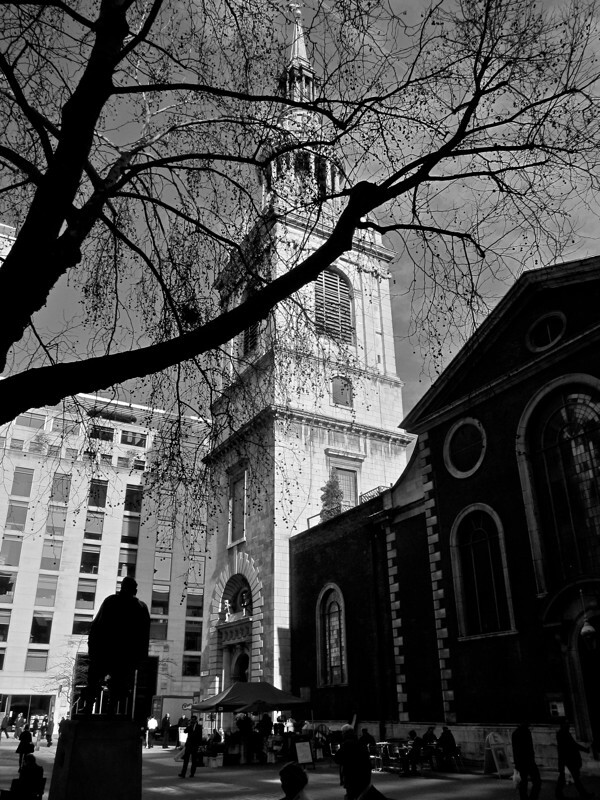 Following up on a previous comment querying whether the church, St. Clement’s, situated in the Strand (now known as St. Clement Danes Church) was in fact the one referred to in the nursery rhyme and not the church of the same name in Eastcheap. Having worked with the Charity that continues today, one established hundreds of years ago by the Elders of the church in the Strand, the books and records that I have seen would indicate that St. Clement’s in the Strand is more likely to be the one in the rhyme. 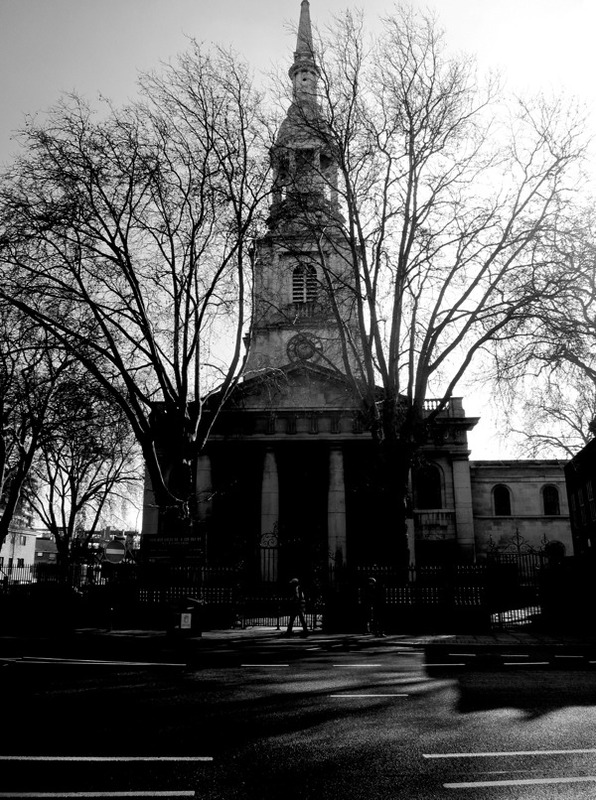 The church owned land around it stretching from the river towards Covent Garden market. Boats carrying citrus fruits would have been unloaded at the wharfs nearby and in order for the fruits to be transported to the market, the porters would have had to traverse the Church’s grounds. It is probable that a small ‘toll payment’ would be exacted for this facility – logical to assume this payment would be in the form of the fruits carried – oranges and lemons – which would be given afterwards to the poor and needy, particularly the children, that the Charity helped. A tradition still carried out annually today after a service attended by the children of a local school that was started by the Charity. Have just tuaght my six year old son the words and meaning to this song. These pictures are a great illustration and we intend to hunt them out ourselves.